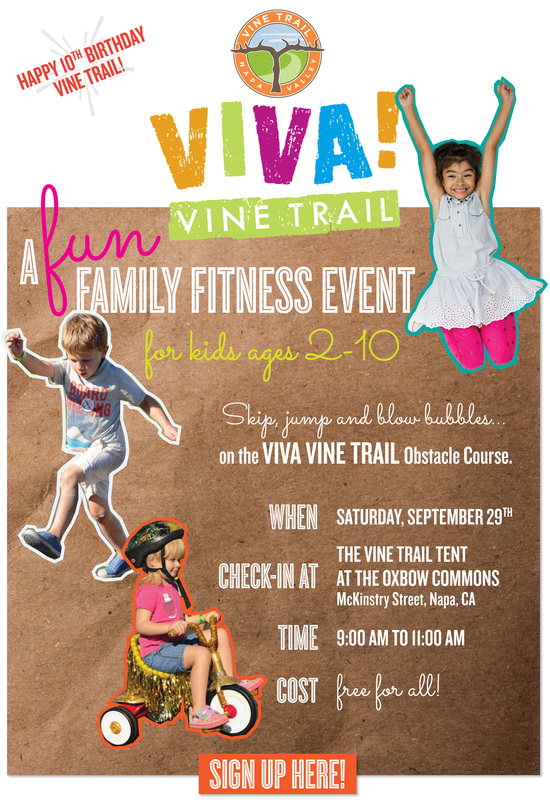 A free, fun, family fitness event for kids ages 2-10! Come celebrate 10 years of the Vine Trail with us. Skip, jump, balance, ride, blow bubbles more on the VIVA! Vine Trail Obstacle Course. Enjoy a morning of play and adventure. You can let us know you're coming by clicking here, or just show up! Interested in Volunteering? You can sign up here.